Sometimes it is not always obvious that your garage door springs need to be replaced. There are sometimes subtle signs that you need a professional to come out and look at your garage door. Springs are one of the most common repairs on garage doors. There are a few signs that it may be time for your garage door springs to be replaced. A word of caution, springs can hold an enormous amount of tension. It is not recommended that you attempt to replace springs on your own. When improperly handled, they can cause serious injury. Call a garage door professional to replace your springs. When your garage door starts to create some impressive squeaks, it may be time to replace your springs. If you have extension springs on your garage door, take a look at them to see if they are warped in any way. That will just be a confirmation that they need to be replaced. If your door is having issues closing or opening all the way then your spring may need replacing. 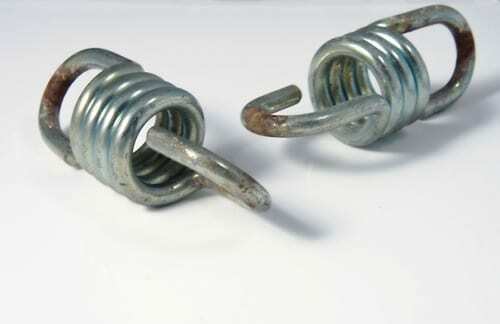 A broken spring can also cause a door top stop opening or closing halfway. If either of these issues occur, you may have a faulty spring. If your door opens but you notice that one side is going up before the other or that it is closing lopsided then it may be your garage door opener springs. If you have had an accident with your garage door, then it may be worth getting your springs looked at. Hitting the garage door with a vehicle can cause the spring to fail. If suspect that your garage door opener springs may need replacement, contact Action Garage Door at (877) 392-2590. Our professionals would be happy to assist you in spring replacement.